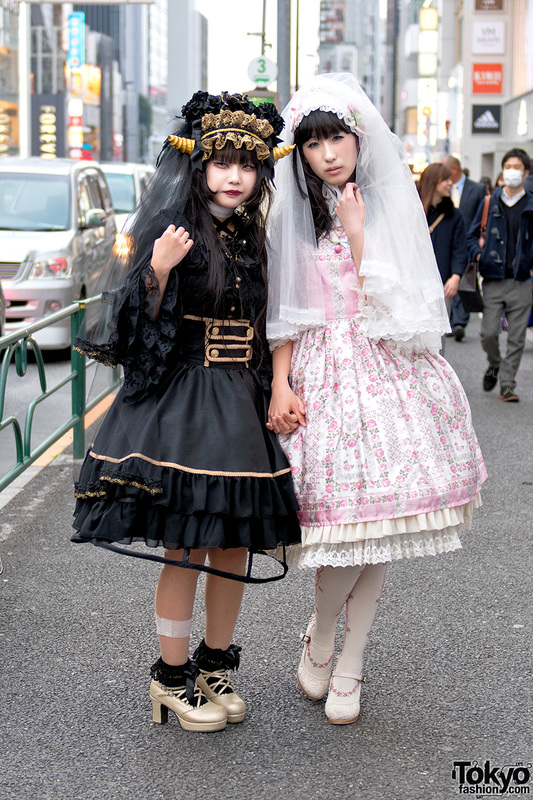 Goth Harajuku street style with black dress over black lace, thigh high stockings, studded black heels, and a black horns headdress. 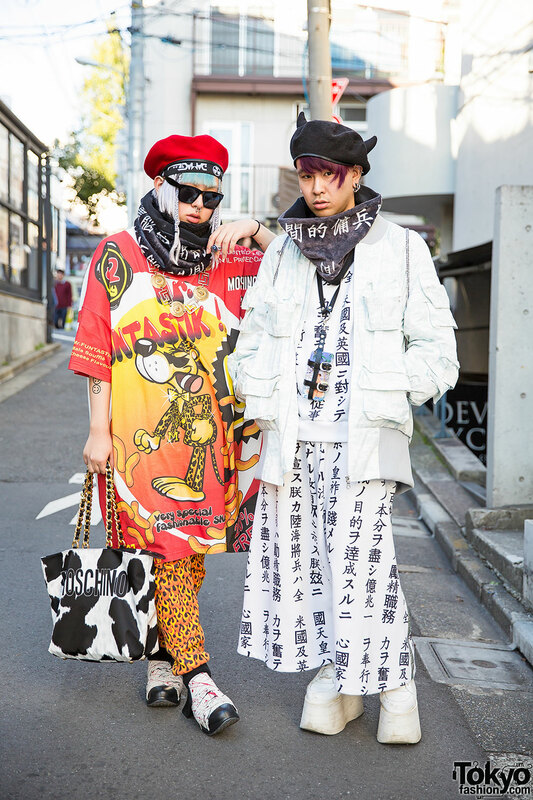 Harajuku girl with horns top hat wearing a plush teddy bears sweatshirt, parka, teddy bear print pajama pants, bear bag, furry sliders and choker. 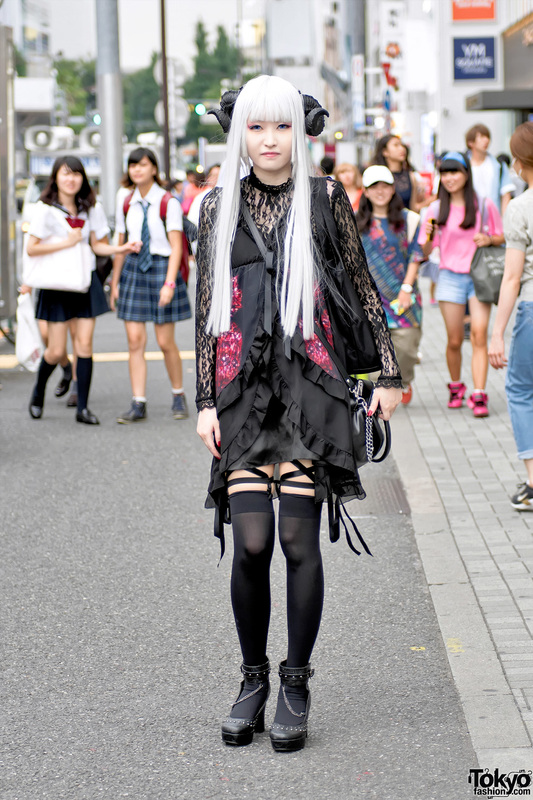 Harajuku girls wearing twin tails and mostly black rock-inspired outfits with chokers, mini skirts and striped socks, as well as cherry print, crosses and platforms. 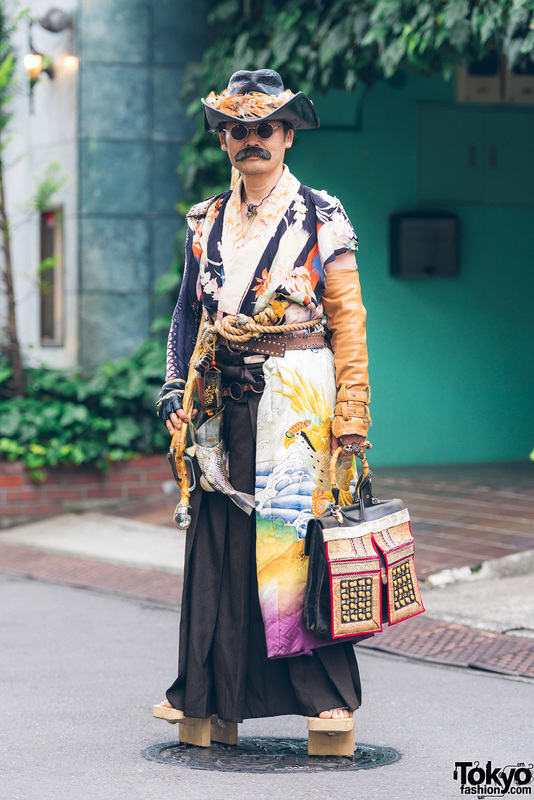 Well-known Harajuku street fashion personality Takuma wearing a deconstructed Nozomi Ishiguro hat & dinosaur sneakers.